Wacom, makers of fine digitizing tablets, have just revealed a new digital pen for those who regularly put pen on paper to draw but still want their designs in digital form. We’re already loving the idea and wish we could actually draw, but lucky creatives than can, will be able to just use their favorite woody surface, attach to it the a small clippable USB receiver and draw using the Inkling digital pen. Anyone who has toyed with the idea of drawing on a computer must have come across the name Wacom. 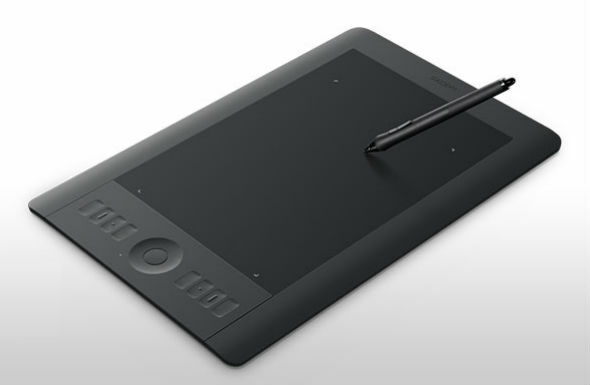 Wacom has been making high quality digitizing tablets for decades. However drawing on a tablet with a virtual pen creates a disconnect to those who are used to drawing on physical media. Here comes the Inkling, the idea is that it uses ink like a regular pen, and unlike other similar pens like the Livescribe, it doesn’t require special media. 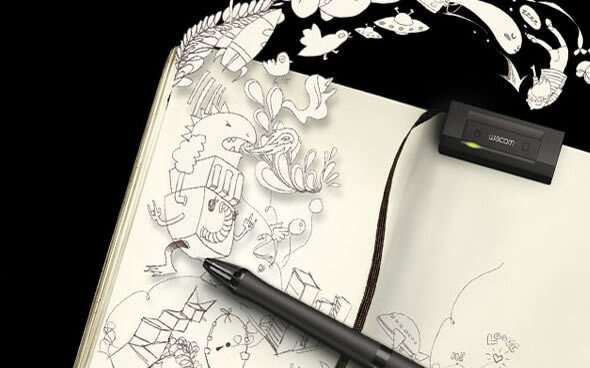 You simply draw as you would, with the instant satisfaction of seeing your ideas come to life on paper while the USB receiver, attached at the top of your favorite media, captures your drawing together with 1024 levels of pressure. You can even add different layers as you draw.